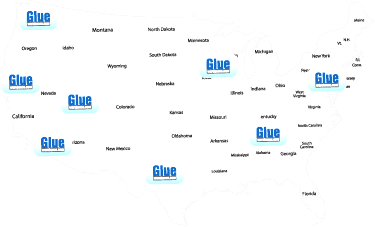 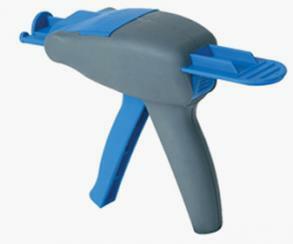 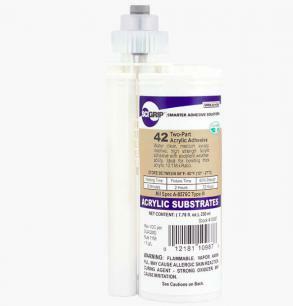 SCIGRIP by Weld-On 42 is a two-component 10:1 adhesive. 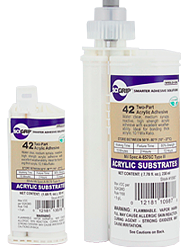 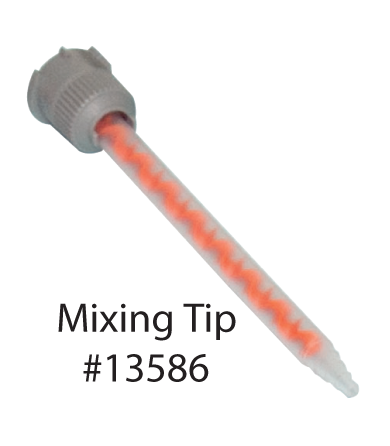 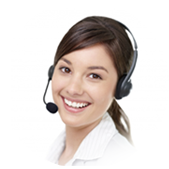 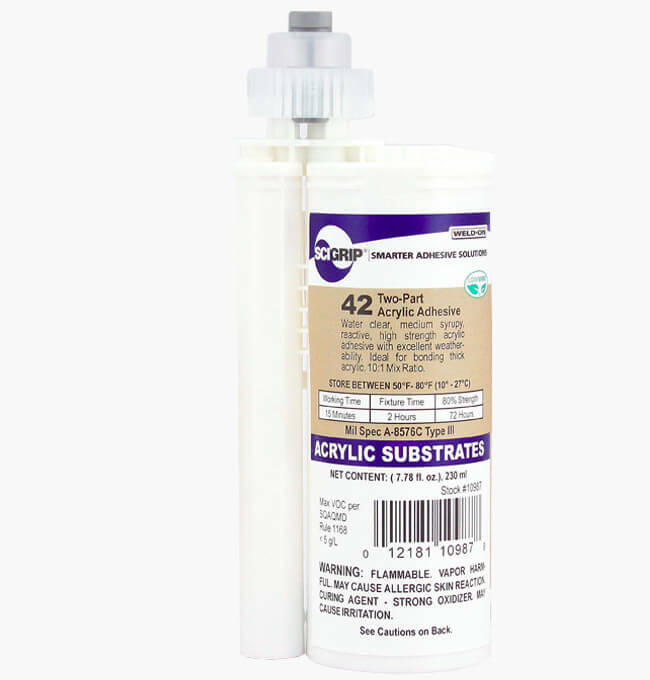 It is exceptionally versatile, and an effectual solution for bonding acrylics. 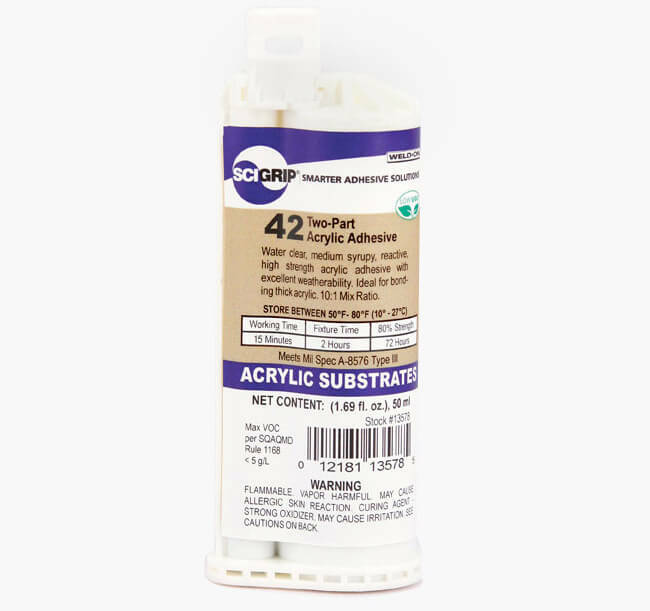 It provides an excellent bond and is especially useful for applications like museum display cases where clarity retention is required. 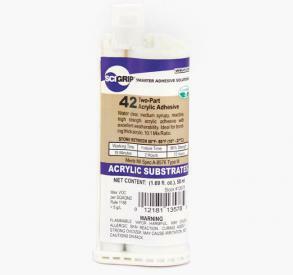 SCIGRIP by Weld-On 42 is a great product for Sign & Display Bonding, as well as other industries.